Over many years of trial and error, our Builtlean team has developed workout guidelines to help you lose fat without losing muscle while developing a more functionally strong, fit body that you can enjoy for the rest of your life. We’ve spent thousands of hours training clients, conducting research, and experimenting with different exercise methods and techniques in order to create these very simple, but effective guidelines. While a beginner exerciser can likely increase strength and performance with as little as one strength circuit workout per week, the research shows more training tends to create greater strength increases.1 The exercise authority ACSM recommends adults complete 20-60 minutes of rigorous exercise 3x per week, or 30-60 minutes of moderate intensity exercise 5x per week.2 In line with ACSM standards, we recommend you complete 2, to 3 strength circuitsTM workouts engaging each muscle group 2 to 3 days each week. Whether you should do cardio before, or after weights, is a persistent question in fitness. Does doing cardio before weights help you get stronger and lose more fat? What we believe and what the prevalence of research shows is to do full body strength circuits™ before HIIT (high intensity interval training), or other cardio for reasons including (1) you have more energy and focus to lift weight, (2) less risk of injury due to fatigue, and (3) your muscles contract more effectively. For several other reasons, see our article Should You Lift Weight Before, or After Cardio. We recommend completing strength circuits™ before doing any HIIT or other cardio. You can also consider doing HIIT conditioning on a separate day if that works well with your schedule. Exercise selection is debatably the most important variable in your exercise routine. If you choose the wrong exercises, they may be ineffective, or worse, cause injury. But if you choose the right exercises, you will be able to yield a great return on effort. You don’t need to do 20 exercises a workout to get solid results. A focus on key exercises with a high return on effort is the foundation for each workout, and the foundation of an effective exercise routine. 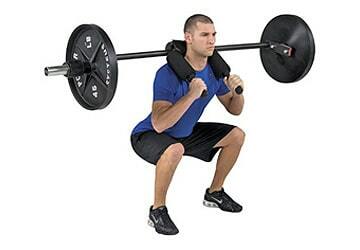 An example would be basic squat, lunge, push, pull and twisting movements with a sufficient amount of resistance. We recommend thinking about exercises in terms of movement patterns, not just muscle groups (more on this in guideline #5). What does a “full body workout” actually mean? A full body workout means every muscle gets “used” during the workout. This does not necessarily mean you must to do a strength specific leg exercise every workout, but it does mean you have to at least use your legs (and every other muscle group) at some point during the workout. For example, you may have a workout that emphasizes shoulder and back exercises, but you can finish off with kettlebell swings, which recruit your hips, glutes, legs, and your entire body, some jump squats, or even some sprints. For people sitting in a chair all day long, or generally sedentary (which is 95% of us), not using your legs, hips, and glutes in every workout is a huge disservice to your body! Our bodies are designed to move. So when we think about exercise, and more specifically strength training, solely in terms of body parts like the arms, chest, and back, we are taking the wondrous complexity of our bodies and reducing it to a clunky piece of machinery. When you throw a baseball, you are lunging, twisting, and pushing, which requires just about every muscle in your body to work in sync. So if you train only one muscle, does that help your body move better? I think not. The basic movement patterns we recommend you use at least once per week are (1) squat, (2) lunge, (3) push, (4) pull, (5) twist, (6) bend, and (7) combination exercises. You can emphasize certain muscle groups over others in a given workout, but the exercises you choose can be based on movement patterns. Where is the stretching and foam rolling you may ask? In between exercises and strength circuits™, we recommend grabbing water or stretching. At the beginning of the workout, we do recommend “targeted” foam rolling by focusing on a few movements, but it depends on time. In a perfect world, foam rolling every day along with stretching is ideal. We hope this helps make the challenge of creating an effective workout much easier for you. Are strength circuits really necessary? A typical fat loss workout for me is four compound lifts (squat, dmb bench, pullups, dips), 3-4 sets ea, 4-10 reps ea set, max 1 min rest between sets, 3x per week. I go hard so I am almost always sore for 1-2, sometimes 3 days. Sometimes I tack on interval sprinting at the end. 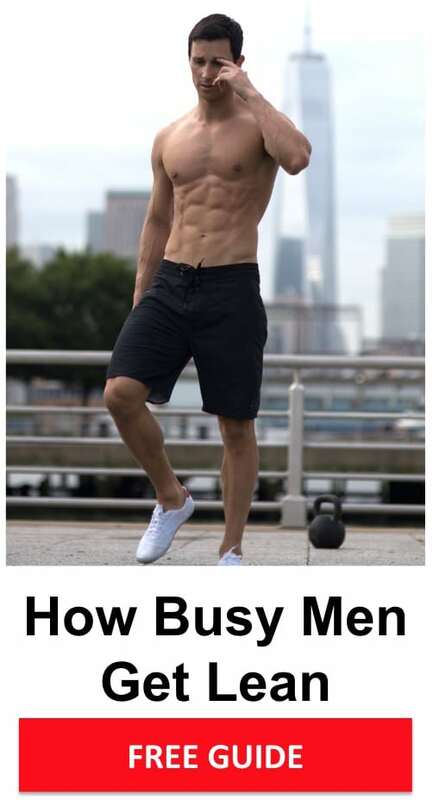 Is this kind of workout really inferior to that which is described in the article? @Nick – You can certainly lose fat with many different methods, but I think the “straight set” method you are using is inferior from the perspective of workout density. What this means is you will stimulate your muscles to a greater to degree in less time by combining exercises into circuits. Just to be clear, what you are doing is not inherently wrong and in fact, it’s what most people do. But there is a better way. Our entire team works out using strength circuits, all of our clients, and we’ve been doing it for years. These types of workouts create better bodies that are stronger, fitter, move better, and look better…and this method is more efficient. I would bet you could get as good, if not better results in less time using strength circuits. Tomorrow, I’m putting up an article that I strongly recommend you read about movement patterns. I think it will be enlightening for you. While squats, pullups etc. are awesome exercises to focus on, adding some more variety per week would be very beneficial for your routine. Form follows function! Thanks for your participation. 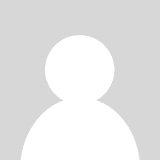 Marc – thanks for a very informative website overall, lots of great articles and tips! I’m 41, 5’4″, 117 lbs with 23% body fat, and I’m looking to drop 5 lbs of fat without sacrificing muscle mass. I run 4 miles 3x a week and strength train 2x a week. That said, I sit at a desk all day and worry that my exercise routine isn’t enough to offset the negative impacts of being sedentary for most of the day. I have a pedal exerciser (cheap version – you hand-crank it to create resistance) that I use periodically as I’m working. I’ve seen websites that talk about the value of these little machines because they boost blood circulation in the legs – but do you have any thoughts on whether they actually burn calories, build leg strength and improve fitness in any way? Hi Megan – thanks for the kind words regarding the site. I think I know what you are referring to, but what is a pedal exerciser? Do you have a link you could share? @Megan – Ok, I know what are referring to. First, it’s awesome that you are committing to an exercise plan. Love seeing that. Your question regarding the exercise pedal is great and frankly, I need to look into it more. I haven’t seen any research on it. I’ve seen the research on standing up while working, or sitting on an exercise ball, I think there is also some research on walking while working (think treadmills with a computer station), but I haven’t seen anything on using a pedal while you are working. My sense is that if you have popper sitting posture, it may help incrementally help you burn calories. But it’s hard to imagine it’s going to make a major difference. A solid workout will be significantly more beneficial for your body. In terms of your goal to lose 5lb, I would consider adding more interval training to your workout routine if you are not doing so already and create more progression so your body is getting stronger and fitter. The key part of losing fat is certainly controlling calorie intake. I have an article that delves into more about weight loss plateaus right here if you are having any issues => Tips on How to Break A Weight Loss Plateau. You are very close to your goal! Thanks for getting back to me so quickly, Marc – being a long-time runner rather than a weight trainer, intervals aren’t exactly my favorite way to log miles! But I understand the value of HIIT in an overall fitness plan, especially as I get older. I’m less interested in improving my race times (the half was my specialty), and starting to focus more on maintaining muscle mass — or at least, minimizing any age-related muscle mass loss. As far as caloric intake goes, I have the usual runner’s bias of “carbs = energy” and am trying to increase my protein intake and reduce my reliance on empty “white” starches (white rice, white pasta, white potatoes, etc). I’m thrilled to see articles on your site about quinoa, which is one of my favorite “alternative” starches – and I’ll definitely be trying chia seeds. Wondering if you have any thoughts on the nutritional value of couscous vs brown rice? @Megan – Shifting away from empty calories and carbs is a really smart idea. They do not fill you up and offer almost no nutritional benefits. Brown rice is tricky because in a perfect world, you would actually soak the rice to get rid of some of the antinutrients. For the purposes of weight/fat loss, I would probably go with brown rice because it has higher fiber content and fills you up more than white rice (at least that’s what it does for me). White rice is not inherently unhealthy, especially considering the Japanese eat a lot of white rice, yet still have very long life spans. White rice does not, however, fill you up much. What I promote is a diet that helps you feel as full as possible without eating many calories. In my mind, it’s common sense. The difficult part, however, if that we all respond differently to food and some people may feel fuller eating different types of foods. Generally speaking, tons of fibrous veggies, some lean meats, and other whole foods with little processing will help you stay fuller longer without eating as many calories. Good luck! I’m a 42y/o male, 6′ tall, 180lbs and around 11% bodyfat (6mm suprailiac measured with Accumeasure calipers) and the bit of me I like least is my somewhat slim arms and chest, not my lack of clearly defined abs. I know you’ve said time and again to lose fat before trying to gain muscle, but how lean would you recommend someone goes before they switch to eating a (small!) calorie surplus and trying to gain muscle? Thanks in advance, this site has been a great help to me so far! @John – I think you are definitely at a good level where you can start focusing a bit more on muscle building, although I’m surprised you want to. You have 160lb of LBM, which is VERY solid. I would reevaluate exactly what “muscle building” means to you. Bigger thighs? Bigger arms? Bigger everywhere? Sounds like you have a very solid frame and maybe as a hobby you can refine your physique by adding just a bit of muscle here and there. May only be 2-3lb in the right places. At the end of this article, I explore this concept of muscle building Top 3 Reasons to Lose Fat First Before Building Muscle. Good luck! I don’t want to get a lot bigger, just a little on my chest and arms, I’ve got 16 1/2″ calves and only 13 1/2″ biceps….. Does this mean I can skip leg day? Thanks for the helpful tips on building muscles while losing weight. I’ve been focusing on cardio and aerobic training mostly – the pounds are coming off, but I’m not getting the muscle density I want. Love how you break things down but at the same time give people options. Quick question on cardio. Some of the time my legs aren’t up for HIIT cardio after lifting. Is there any effect on fat loss if I do cardio on non lifting days? @James – That’s a great question and one that I experience all the time. Some days I just don’t want to sprint, or do anything too intense after doing circuits. I think doing HIIT on a separate day is actually ideal, but it really depends on your schedule and how much time you have to devote to an exercise routine. Just being more efficient with your strength workouts will make a good difference for you. I was wondering if the builtlean program has a bodyweight version, does it? @Seb – we don’t have a bodyweight version at this time, but you can simply alter the exercises in the program to bodyweight exercises. Those are the first that come to my head, but variations of them are all need for sure. Im trying the p90x program & I was wondering if that is a good exercise for losing weight and staying tone. I’m afraid to build muscle under fat. Would it best to do the cardio & plyo 1st to lose fat then start the weight lifting & push/pull ups? I like to think the BuitLean Program is more efficient and effective than P90x, but I’m slightly biased. P90x requires 60-90 minute workouts 6-7 days a week, not my cup of tea. Why not get as good if not better results with much less time working out. Workout smarter, not longer. But that’s me! With that said, I think you are confusing the purposes of diet and exercise. If you are dieting, you will most likely not build any muscle. It’s possible, but very unlikely. The point of all of this has been to get a 6 pack and chiseled jaw line. All I’ve done so far is a lot of cardio (just no weights what so ever) and less calorie intake. Having discovered your website I’ll now be doing weights, whilst keeping up a decent amount of cardio to support my Squash game. My question is, is there an optimum way to combine the cardio and weights. One before the other, or mix them up? Someone once told me (And he did go in to the technicalities of why…) that it’s best not to mix cardio and weights within the same training sessions.. Any truth in this? Also, I’m a bit surprised that even after all my weight loss and sitting at ~ 15% that I still have a double chin. Most noticeable when wearing not too tight 14.5 – 15″ shirts. Would love to hear you thoughts on this/ ideas to combat. Many thanks, and would love to hear back. @Joe- Well first, thanks for the kind words regarding the site and it’s good that you have finally learned the importance of strength training! Lifting is absolutely critical. Eating less calories + tons of cardio is NOT a very good strategy to get lean in my opinion. In fact, I would much rather see eating less calories + strength training. In any event, we wrote an articles about doing cardio before or after weights you can check out here => Should I Do Cardio Before or After Weights?. The conclusion is to do strength training first, then interval training after. Doing cardio and strength training in one workout can negate strength gains to some degree, but that’s more if you are doing steady state cardio before resistance training. 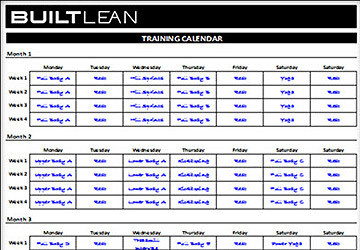 My BuiltLean Program combines strength circuits and interval training after, which is a very potent combination. In fact, some studies show that combining interval training and strength training may burn more fat than either alone. You will likely need to get down to a lower body fat percentage to get rid of the double chin. Just focus on losing fat without losing muscle and you will get to where you want to be…and be sure to continue with the strength training! I’m quite intrigued by your dedication to educating the masses! I’ve thoroughly enjoyed the few articles I’ve read. I’m 5’9″ and at 150lbs. I haven’t really done any accurate body fat measurement but the shedding of body fat is visible (after 4-6 months of exercise). But the only part of my body that I find to be keeping more fat than others is my face and abdominals (as I’m sure is quite prevalent). My question is will reducing more body fat ensure that my problem areas are leaner? Or will it just see my other body parts get leaner as my problem areas remain relatively the same? @Charles – Thanks for the kind words. Much appreciated. 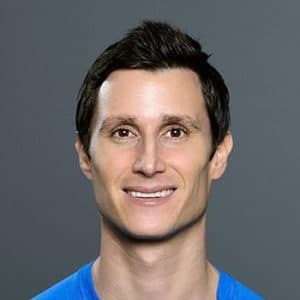 My inspiration for originally creating BuiltLean was that I thought the most valuable thing I could offer the world was my knowledge of, and passion for fitness. If you lose more body fat without losing muscle, the fat will eventually come off your problem areas. The neck and belly area are very common parts of the body where “stubborn” fat can reside that is difficult to lose. Unfortunately, it’s not physiologically possible to only target fat off a particular area of the body, which is why focusing on overall leanness and losing fat without losing muscle is so important. This is exactly what I talk about in my free Get Lean Guide. Again, let me state how much this site has benefitted me. I have told a ton of people at my gym. I was reading an old article on progression in your workouts and wondering if adding a set to each circuit is beneficial or is three the sweet spot. You mention doing 3 sets in your strength circuits. Do you do a warm-up set or is your stretching sufficient? @James – I think a normal warm up should be sufficient. You can always consider pyramiding the weight, so that you start slightly higher rep, then increase the weight on subsequent sets, but it’s up to you. I typically stick with the same weight, but depends on how I’m feeling. Go for 5 sets if you want to get more muscle stimulation and you want to increase muscle mass. It’s more of a hypertrophy workout. Doing 5 sets of a strength circuit will most likely leave you sore the next day! For basic fat loss, 2-3 sets should be sufficient. I have settled on 4 sets and have really been paying attention to rest periods. I am completing a circuit in between 8-10 minutes. 2 questions. Is a day every once in a while of a little heavier weights and lower reps (5-8) as beneficial? From reading your site, I have heard you mention volume a number of times as the most significant factor in these circuits. 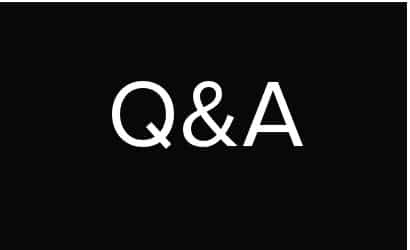 Second question, how long should I rest between strength circuits; I typically do 2-3 circuits of 2 exercises. I have dropped my body fat from 17.5% to 14% with the goal of getting to 10. Your site has been the biggest factor in my improvement. Thank you to the Built Lean staff for all your great advice.